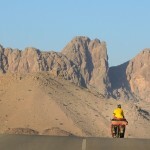 This may come as a surprise, but for many long-distance cyclists Iran tops the list of favorite destinations. Friedel and Andrew Grant absolutley fell in love with this misunderstood land. 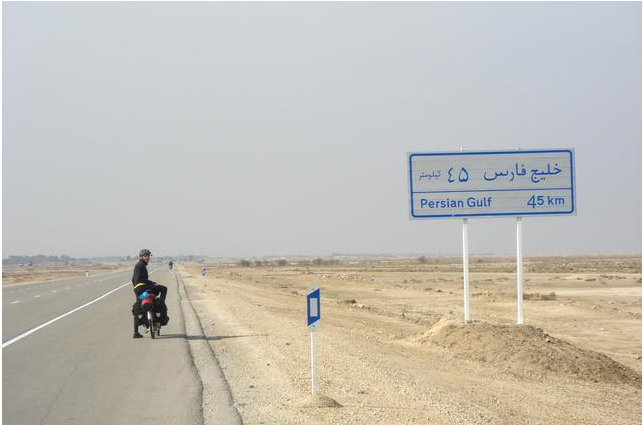 In the latest A-Z of bicycle touring guest post, they tell us more about the charm of pedalling through Persia. Out of all the places we’ve cycled (33 countries so far), the people of Iran top our list as the friendliest we’ve ever met. 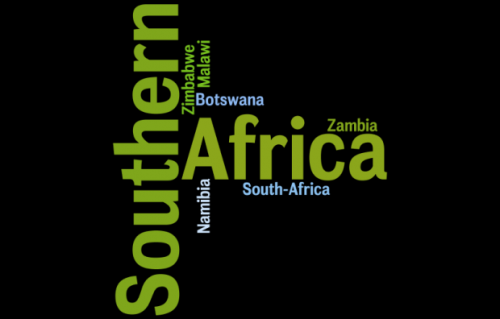 Everywhere you go, people are genuinely interested in your trip and want to help you out in anyway they can. Invitations to share a meal or spend the night with a family are an almost daily occurrence. If you need help with anything on the road, it normally takes only a few moments before you find several people willing to help. Once, on a busy road, we even had 2 men who kindly acted as our escorts all the way up a mountain, riding in front and behind us so we would be safe from cars as we rode through several dark tunnels. The kindness from Iranians is humbling to experience. If only the whole world were so nice! 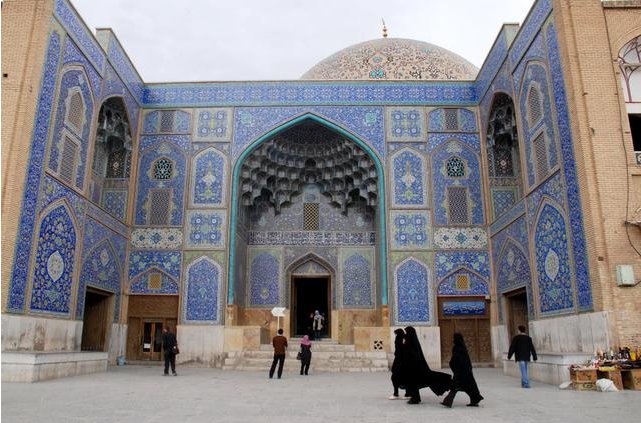 The Persian culture is rich and well preserved. From the beautifully tiled mosques of Esfahan to the archaeological wonder that is Persepolis , there’s plenty to explore. There’s also the desert city of Yazd (http://en.wikipedia.org/wiki/Yazd), the heart of Zoroastrian culture. And the best part? Because there are so few tourists, you get all of this almost to yourself to explore. In Italy, these sorts of sites would be heaving with visitors but in Iran they’re generally tranquil. There aren’t many official campgrounds in Iran and there’s plenty of open space so it’s easy to set your tent just about anywhere. In addition to the wide open landscapes, you sometimes come across rest areas where Iranian families often stop to set up their tents as a break from long road trips. Although a bit noisy, these informal campgrounds are free (with toilets and water) and a great place to meet local people. Finally, we found the police were always happy for us to pitch a tent next to the station, and they often let us use the facilities as well. 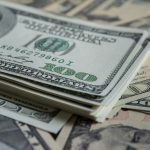 Inflation is shooting up in Iran but you still get a lot for your money. You can enjoy a hotel every night, meals out and tourist sights without breaking the bank. We went for a mix of budget hotels and wild camping during our time there, with a few meals out, and still only spent about 5 euros a day each (2008). 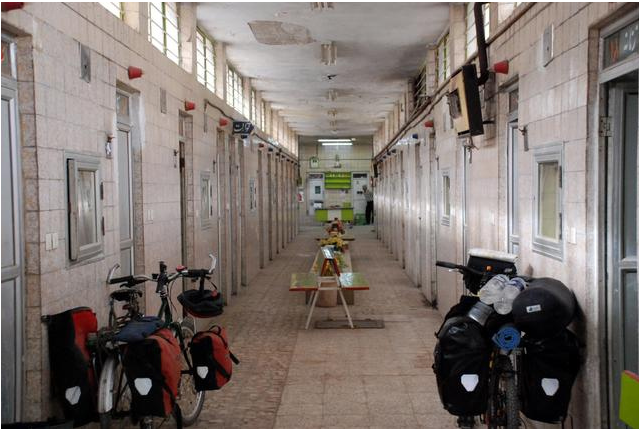 In Iran, it’s no problem to put your bicycle on a bus or on the train. You might have to pay a small fee, but there’s no fuss about it and no annoying need to box your bike. Every town also has a hammam (bathhouse) where for less than $1 U.S. you get a private room with unlimited hot water – perfect for scrubbing up after a few days of camping or for doing your laundry! 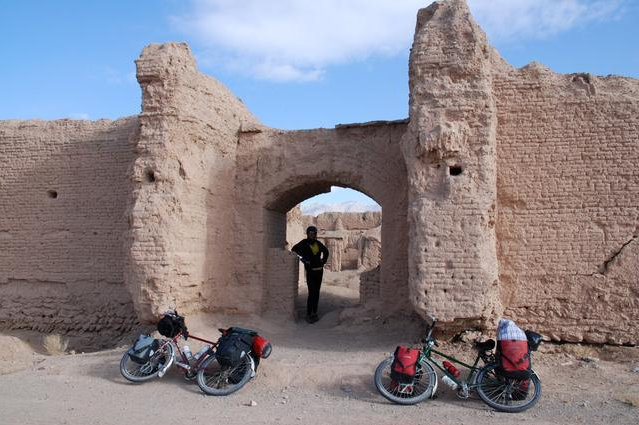 Friedel and Andrew Grant are two Canadains who have cycled in 33 countries and covered over 60,000 kilometers. 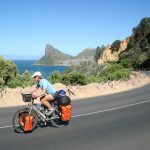 Their Travelling Two website is all about inspiring and helping you to get out and travel by bike. On the site, you can download a FREE Bike Touring Basics book. It’s 66 pages of bike touring tips and advice on gear. Friedel and Andrew are also the authors of the Bike Touring Survival Guide. ← Bicycle Touring for Newbies: Give Southeast Asia a Try!